Developed by the one-man team at RCMADIAX, BLOK DROP U represents the first eShop release to emerge from the Nintendo Web Framework platform, an HTML5-based approach that aims to deliver browser-bite-sized indie experiences direct to your GamePad. True to that concept, BLOK DROP U is a simple physics-based puzzler with a fun and unique design that's worth a play for puzzle fans, in spite of a spartan interface and a short shelf-life. Your titular goal in BLOK DROP U is to guide a single red square — from its starting position at the top of a tower of other, tenuously-stacked squares — safely onto a platform below, by tapping to remove intervening pieces of the pile. It plays out something like a video-game version of Jenga mixed with a more hands-on approach to Angry Birds, with simple, intuitive gameplay that offers a satisfying mix of careful planning, frantic tapping, and trial-and-error experimentation — often all in the same level. It's split into three sets of ten stages apiece, each built around a particular theme. The first ten levels offer up unfettered block-dropping basics, the next ten introduce moving, rotating blades to the equation, and the final set adds in spring-loaded bounce blocks. Each addition changes the feel of the levels considerably — the fast-moving blades mean you'll need to take timing into consideration to ensure a safe landing, while the bounce blocks turn the puzzles into a physics-fuelled playground of high-bounce hijinks. The blades also present what are by far the toughest of the challenges, though the difficulty within stage-sets themselves can feel erratic, with comparatively easy stages often sandwiched between more difficult puzzles. No matter how difficult they get, there are clever, intricate solutions to each puzzle — and finding them is incredibly rewarding — but the physics have enough play that you don't ever have to figure out a single "right way" to progress, and it can be just as much fun to MacGyver your way through a stage with nothing but confidence and swift stylus strikes. 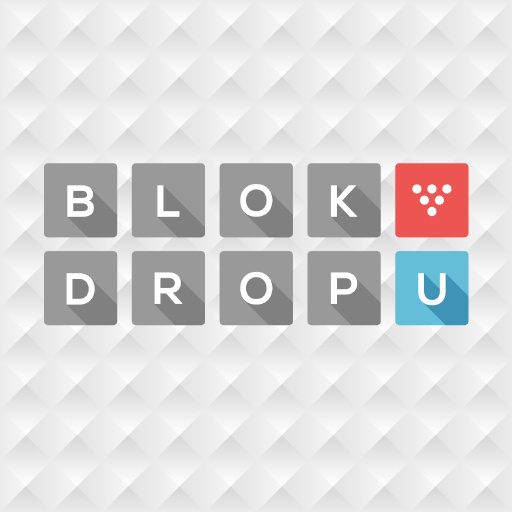 In fact, that's one of BLOK DROP's biggest draws; it's a game that can be as contemplative or as frantic as you'd like, and whichever way you choose to solve a puzzle, it's always satisfying. Even with a healthy amount of restarts and plenty of time for trial and error, BLOK DROP U's thirty stages can easily be completed in an hour or two. The developer has plans to add in more levels via free DLC in future — an additional fifty are planned as of this writing — which should help extend the life of the game considerably, especially if each set includes novel stage elements. In the meantime, once you've mastered the final stage you've seen it all, and there's nothing specifically designed to tempt you back. Self-starters might enjoy coming up with secondary solutions on repeated trips through the meditative levels, but some way of scoring your puzzle solutions — whether by time or number of blocks chipped away before touchdown — would have added a lot in the way of replay value. Graphically, BLOK DROP U sports an industrial aura of simple textures decked out in whites, blacks, and greys, only slightly ornamented by a pleasingly pixelated isometric font and splashes of colour from the single red block and brilliantly orange blades. It's a somewhat striking, minimalist style that's dulled by some surprisingly fuzzy sprite-work, but it gets the job done, and won't distract from the block-dropping at hand. The soundtrack consists of a single, mid-tempo electronic loop: funky, catchy, and even a little eerie, but stretched a bit thin as the backing track to the entire experience. While minimalism fits the graphics and sound to a point, the interface feels a tad too streamlined for its own good. There's no pause button, and no way to replay any specific level, or resume from where you left off if you take a break; you'll have to start each set from the beginning every time you play. In fact, there doesn't seem to be anything saved between play-sessions at all — even the tutorial screen shows up every time you start. The ten-level sets are short enough that the lack of level select isn't a huge problem, and playing through previously conquered stages is still fun, but with gameplay that's practically made for short bursts and quick sessions, the ability to select a single puzzle seems like it should be a given. 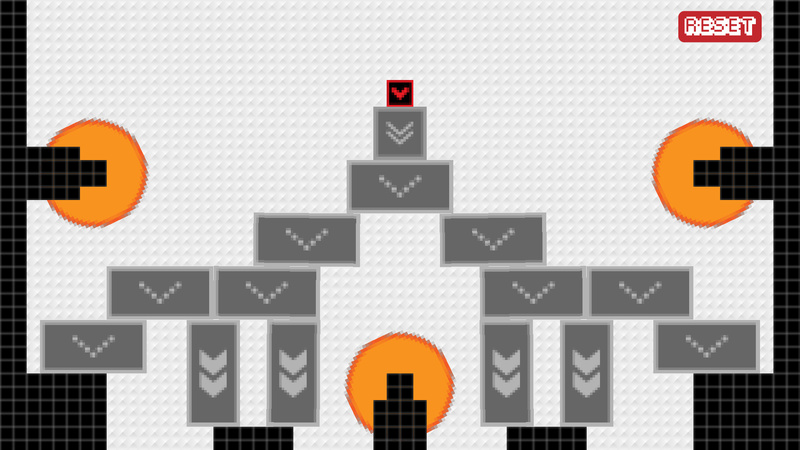 There's also the fact that even after landing the red square safely on the ground, you'll still have to manually tap away any remaining blocks to clear the level. There's a reason for this — a wayward rectangle could potentially knock your block into the abyss on its way down — but it still often feels like an unnecessary step, especially when the remaining blocks are standing stock-still, patiently awaiting their imminent and rather unsporting demise. Finally, we encountered a consistent glitch where tapping on any level's introductory title card will get rid of blocks "behind the curtain", so to speak, before the stage begins. Tapping to advance the screen is a hard habit to break, and we were greeted by quite a few half-collapsed, helpless scenes of pre-plummeting block towers before we could train ourselves out of it; to be fair, it's not always frustrating — inadvertently beating a level like this is a gleefully gratifying experience. 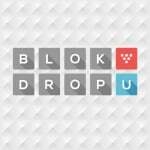 A unique and genuinely fun puzzle game with some decidedly rough edges, BLOK DROP U is a brief but engaging experience that will appeal to indie-lovers and puzzle fans in spite of its flaws — and it's easier to forgive those flaws when it costs less than a latte. That said, if presentation or replay value are a priority, this drop won't be for you; with no level select and no scoring to see how you stack up, its lasting appeal is limited. Still, if you're looking for a physics-based puzzler to play through in an afternoon, this delivers something different, fun, and definitely worth trying. For $2, sounds like you can get a couple hours of enjoyment out of it, and more levels are planned. I'll pick it up. Lol nice tagline. 6/10 is a good score considering the price point. Not my type of game though so I'll skip for now. I don't think i'd want to replay levels just because i can't continue where i left off. There's also the uncertainty of not knowing how good the DLC will be which i'd feel like i've already paid for when getting the game. So i might have to wait for a patch and the DLC before i consider buying when it becomes available in Europe. Seriously, I will still get it. $2 is nothing and I want to support the developer. Literally in this case, THE developer. I was gonna get it if it was a 7/10 or higher, so I will pass and get runner 2 for $5 instead. For 1.99 I'm willing to give this a try. The thought of extra content down the road is a bonus. It's a simple game and it's price tag reflects that. It's fun though and I'm glad I picked it up. My son is having fun with it and I'm thinking the wife could easily become addicted to it....might have to wait and show her once the other levels become available. In my opinion it is definitely worth the $1.99 if you enjoy simple puzzle games, especially when the rest of the levels become available. I've spent $30 on W101 just to support Platinum Games, I'm sure I can spend only $2 to support RCMADIAX. But there is a Red Square in Soviet Russia too! Sorry that my joke was so bad. Dear RCMADIAX, please please please add a scoring system through a patch. It would add so much. Hearing that this game lacks one turns this from a must-buy to a big fat maybe. The dev is so cool, I'll certainly be picking this up when I get off work today. Well, for this price, I'll be getting it and giving it a try as well as to support the developers. I like seeing developers asking for feedback. @RCMADIAX I also would have to agree with the scoring feature, with anyway possible (but times and moves best). It would really add a lot to the game. At that price this is a purchase that doesn't need consideration. 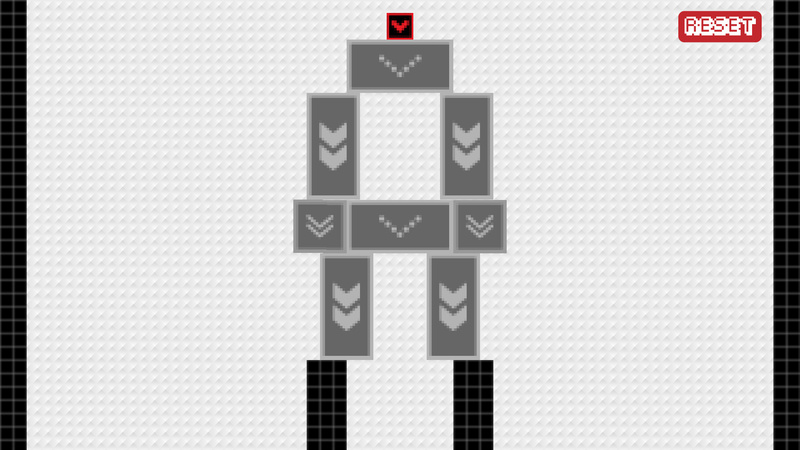 A 1-man team makes a cool puzzler with Atari-style graphics and charges next to nothing for it? Sold! When people are so vocally dissatisfied with business decisions coming from the 3rd party giants regarding the Wii U they had better be willing to shut up and throw a bone to the little guy who actually needs their support. Or do people just have an inflated sense of entitlement? I was in the mood for a good puzzle game and picked it up tonight. Got through all 30 levels in an hour. Definitely agree that a score or timer would add incentive to replay the levels. Tough to post bragging rights on Miiverse without that. Still, it was enjoyable and worth the $2. Seems like a fun time for $2, despite the let downs. I look forward to it coming to my Wii U eShop. Sounds exactly like a game I played on my iPhone back in 2008. I can't remember the name, but you had a star sitting on top of blocks in each level, and you had to dissolve blocks by touching them to in the end allow the star to safely drop down to the ground and not into the water. So the concept is "borrowed" (or "lifted" if you prefer), but the presentation is less exciting and more sterile? Plus, there's a huge bug in there? Meh. "Or do people just have an inflated sense of entitlement?" @RCMADIAX Your receptiveness here is what pushed me over the edge in convincing me to buy this. If you are able to patch it with some sort of scoring system, I would be overjoyed. (Yes, I know, it's not for sure going to happen, but I can hope!) Thanks for your willingness to take comments like these into consideration, and thanks for your commitment to making great Wii U games! I find the game very enjoyable, it's just missing sound effects. For $1.99 you can't go wrong but I feel like there's barely 99 cents worth of content here. Apples to oranges comparison here but I've bought plenty of $1.99 games downloaded to my Ouya with far more replay value. For the record, I beat every stage in 30 minutes. A few of the blade stages were a bit painful though. 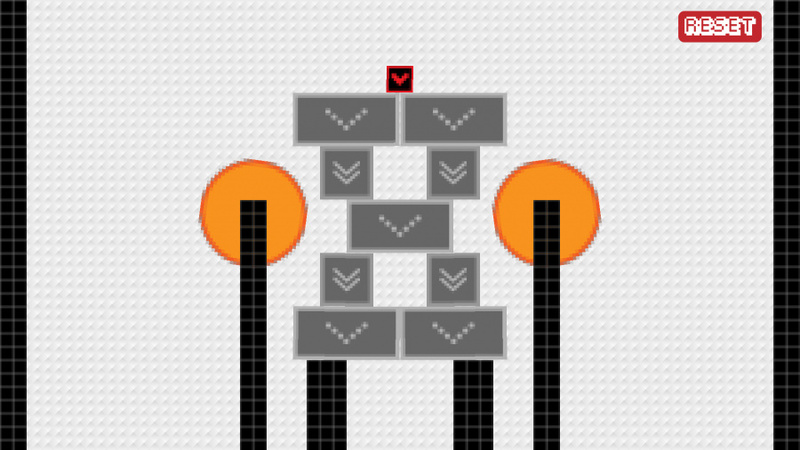 One trick to get the red heart to land on a narrow precipie: remove one whole side of the stack, and the red block will start to plummet downwards and sideways. The red block starts the level sitting atop a supporting brick. The earlier you clear the top brick, the less horizontal travel the red block gets in it's decent. But the red block is just as likely to bounce away when it hits the ledges, so it's recommended to leave one remaining brick from the base of the pile alive so the red block can come to rest atop it. Finally, if you are lucky, the red block will stop movement directly over the ledge, and clearing the gray brick underneath it will enable a perfect touchdown. This strategy somewhat works on almost every stage. Got that? @RCMADIAX Beat it in a half hour. This game would be 1000000 times better with instant restart. Also, another song or two could spice things up. I really didn't enjoy playing it, but that might've only been because of the frustrating wait times when restarting. Fix that, and the next 50 levels could be pretty great. in soviet russia block drops you!! @RCMADIAX Hey! I bought your game! Very fun, though I'm looking forward to the DLC because I beat it in two sittings. Heh. If you're looking for more feedback, I think that a scoring system that took into account time, moves used and where your block landed would be great. Imagine going back and trying to land your block in every feasible spot. Second, a level select would be amazing — it stunk to beat a hard level and know that if I exited the game without finishing the set, I would have to do it again. Finally, some recognition by the game that I'd beaten parts of it already would be amazing, instead of it looking the same way now as it did the way I booted it up on the first try. You know, a score, or a crown, or anything. But thanks for the game! It was a lot of fun. I wouldn't have probably beaten it all by now with a level select, by the way, but I knew I'd have to beat certain puzzles again i I didn't barrel through a whole set. Looks like a fun puzzler, especially for the price. A scoring system and a way of saving progress would make this a much more complete experience though. Also, challenges would be great. 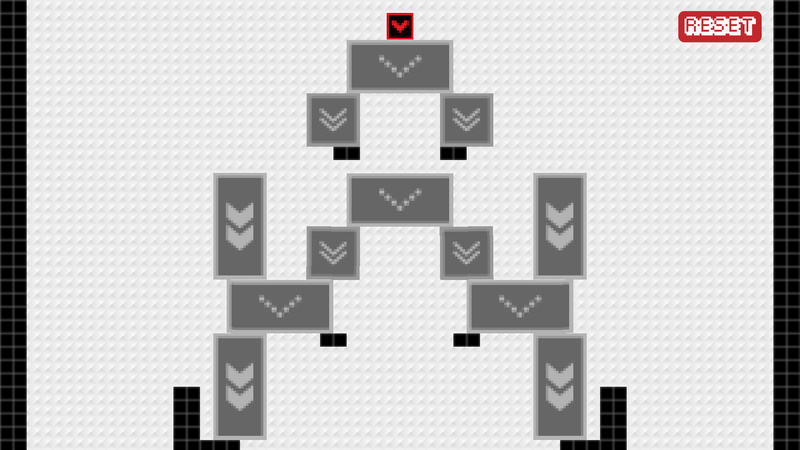 Maybe something like "portal" blocks that take you to a different area orsomething. I enjoyed this title, it has it's bugs, but show the promise of the Nintendo Web Framework. I look forward the the updates with more options and free levels. Hopefully we will get a level selection option and some type of level creator. But for now I'm satisfied. A very solid first effort on Wii U. Definitely a foundation that can be built upon. Not a bad game by any means, and for $2, you really can't go wrong. I'm expecting good things in the future from RCMADIAX. This was a simple game. No stage select, sound effects, etc, and that's understandable considering the fact only one person worked on the game. That's really the only thing negative I see with it though- the core gameplay was fun and addictive. @RCMADIAX Yes, exactly that! Thanks for the response. 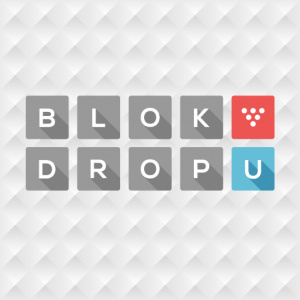 Hey, everyone, as of April 3, 2014, Blok Drop U is on sale for $0.99 for one week. https://twitter.com/rcmadiax/status/451809254685822976. Updates and improvements on the way!